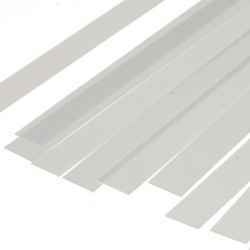 Evergreen White Plastic Strip. Each pack contains 10 lengths of strip, each 14" long. Rectangular section, 0.010" x 0.250" (0.25mm x 6.3mm).